For March we have some music. 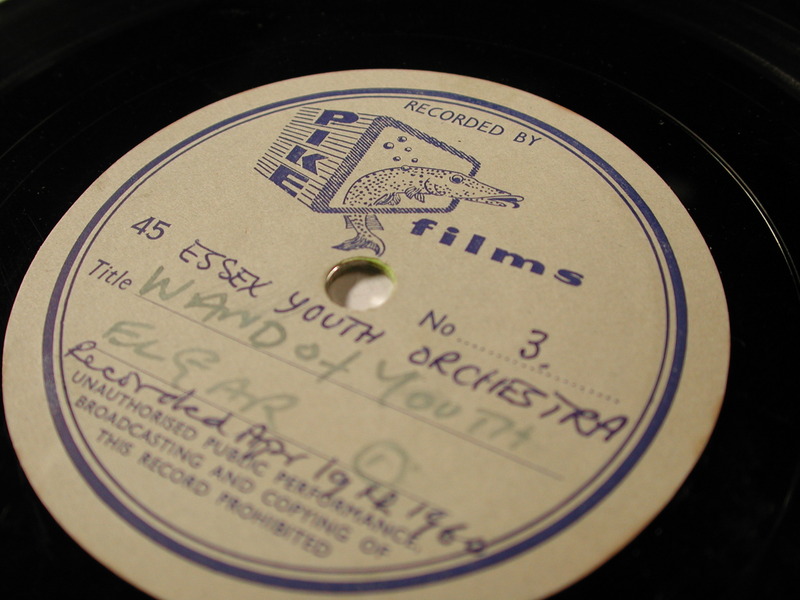 Our choice this month is, we believe, the earliest recording of the Essex Youth Orchestra. The orchestra was formed in 1957 as part of the County Youth Service of Essex County Council and by the time this recording was made, in 1960, they had already made successful tours of West Berlin and Essex and been invited to tour Holland. In subsequent years the orchestra visited Denmark, Sweden, Norway, Czechoslovakia, Italy, the USA and Canada, and has performed at the Royal Albert Hall, the Royal Festival Hall, Snape Maltings, and at the Bath Festival both accompanied by and conducted by Yehudi Menuhin. New works have been written for or dedicated to the Essex Youth Orchestra by composers such as Alan Rawsthorne, Elizabeth Maconchy and Bernard Stevens, and former members have gone on to perform with any number of major symphony orchestras. Membership of the orchestra was open to any young person aged under 21 who was resident in Essex or attended an Essex school or college. The Essex Youth Orchestra continues to the present day along much the same lines. You can find more details here. The four recordings with our reference SA 10/1/1/1/1 were made on April 19th 1960 by Pike Films on both sides of two 7″ 45rpm lacquer ‘instantaneous’ discs. The discs have pre-printed labels bearing the Pike Films logo with the details of the recordings being hand-written in ink. The first two sides contain recordings of The Impressario by Mozart and part of Dvorak’s Symphony No.4. However, we have chosen to feature the third side which contains the first section of Elgar’s Wand of Youth (Suite 1), which seems appropriate for a youth orchestra. The fourth side has parts 2 and 3 of Wand of Youth. We are told that Elgar, when in his fifties, decided to develop into full orchestral works a number of compositions he had made at the tender age of eleven to accompany a childhood play staged by him and his siblings. These resulted in two suites to which he gave the name Wand of Youth and he chose to give them the opus number 1 to indicate that they were, in fact, his earliest work. 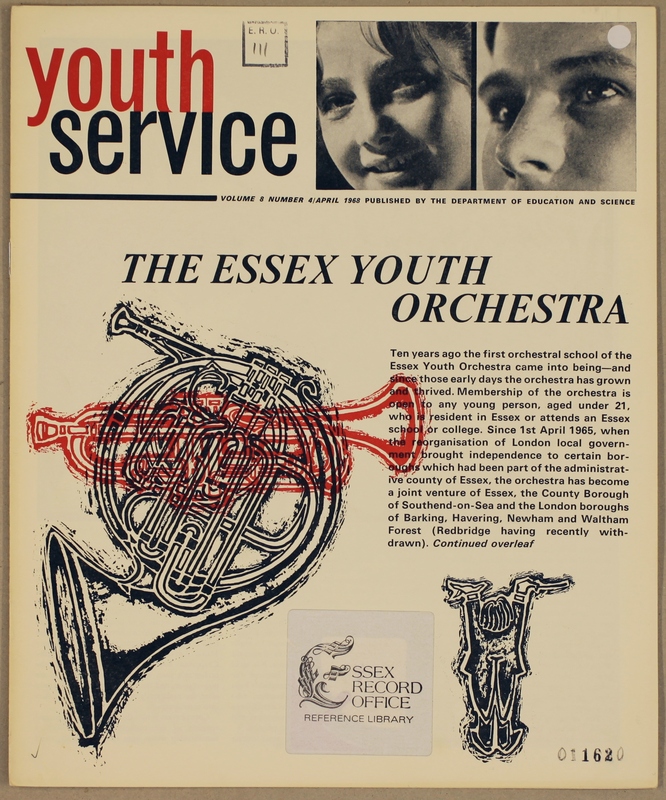 The Essex Sound and Video Archive holds a series of recordings of the Essex Youth Orchestra as well as others from Colchester Youth Chamber Orchestra, Witham Choral Society and others. We also hold recordings of compositions by Essex-based composers from William Byrd to Alan Bullard. Details of all the recordings held in the Essex Sound and Video Archive can be found on the Essex Record Office online catalogue Seax. This entry was posted in Archives, Collections, Essex history, Recording of the Month, Sound and Video Archive and tagged music, orchestra, sound and video archive, youth by admin. Bookmark the permalink.